Many Thanks From Sue & Nigel..
in Falmouth, Cornwall. This led to another shop in Falmouth, where he met some of his best friends in the business and some great customers. 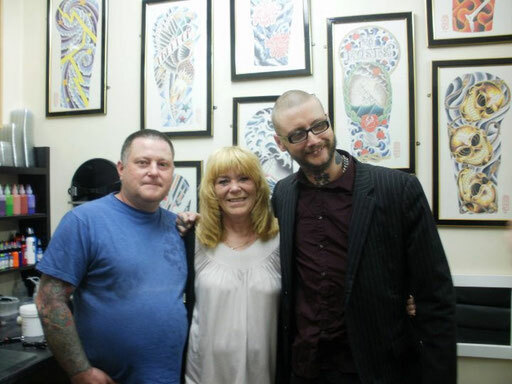 It was at this new studio where Nigel met Roger Rabbitt of Black Lotus Tattoo Machines. In 2002 Nigel and Sue emigrated to Torreveija, Spain, where they lived for 8 years, running a new studio. It was in Spain where they met Jack of Adventure Tattoo Studios II, before coming back to the UK. Nigel worked with Kevin Houston of Coventry Ink and Starline Tattoo Supply until he opened his own studio again in Northampton, St. James Road, on the 7th of June 2010. Nigel and Sue pride themselves on quality of their work and the cleanliness and hygiene in their studio. They only use the best single use equipment and most up to date sterilization methods, vacuum autoclave and ultrasonic cleaning. It is usual practice for all customers to be tattooed with new needles. 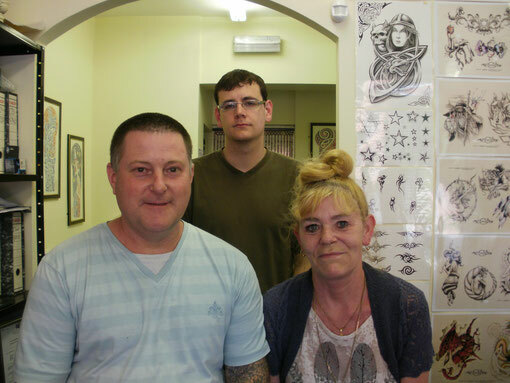 Nigel, Sue and Graham are professionals who pride themselves on giving the best advice on all styles of tattoo's, from traditional to modern day. Custom work and freehand is available, your design or theirs! Suns 'n' Roses can also draw up a design for you. 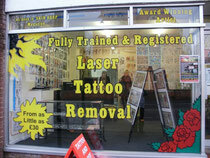 Body piercing is also available. We sell tattoo supplies, please look for the gallery of products. namely Black Lotus Tattoo Machines by Roger Rabbit . They also have a Roger Rabbit designed frame that is solely available from Suns 'n' Roses, you cant get this machine any where but from these guys. 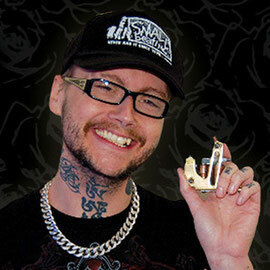 Also selling the Starline range of tattoo machines built by Kevin Houston at the Starline Factory, Coventry, UK. They sell footswitches, clip cords, power supplies, needles and our own disposable ink trays. Feel free to browse the site and contact us by email or telephone for advice. Tel: 01604 949958 during shop hours. were open Monday - Saturday 10am til 6pm. 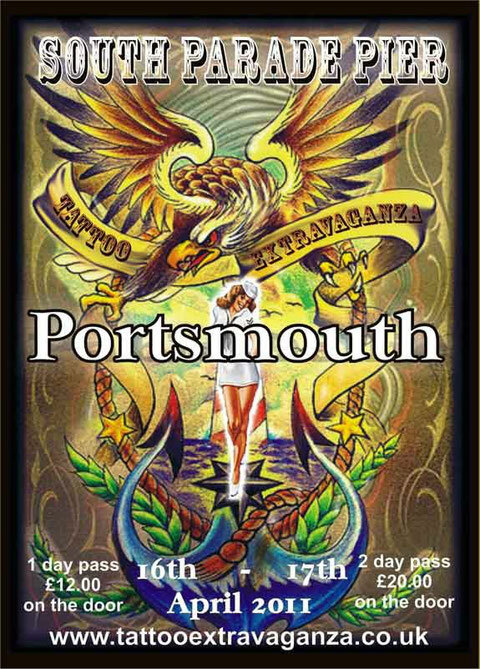 portsmouth tattoo convention April 2011.